The 19th of November in 2017 Andrea Bocelli will come to perform in Bratislava. This is a part of his 2017 tour, and we look forward to it! If you come to Bratislava for the Andrea Bocelli concert on November 19th, you might get a big and positive surprise in addition. It is not something that will happen during the concert, but before and after you might be able to enjoy the fantastic annual Christmas markets in the city center of Bratislava. Those are a real treat with local products and much better prices than the similar markets in Budapest and Vienna, making it a great experience. We do not know the dates for this years Christmas markets yet, but hopefully it will open by the time Andrea Bocelli comes to town. Andrea Bocelli will visit lots of cities in Europe in 2017. But, he is not touring in the same tempo as other stars. When he comes to Bratislava on November 19th, his last concert was in Prague 8 days earlier. When he leaves Bratislava he has six days to relax before entering the stage in Budapest on November 25th. 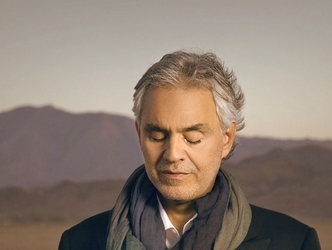 If you want to listen to the beautiful voice of Andrea Bocelli, buy your tickets using the Viagogo link beneath. You can find more information about the different activities in Bratislava here in our Bratislava Guide. We will hopefully publish articles on the upcoming Christmas markets in Bratislava as well within shortly, so keep coming back for updated information. « Can I visit Prague on a day-trip from Bratislava?